SAN FRANCISCO (KGO) -- It's a Bay Area tradition that marks the start of the holiday season for local families. 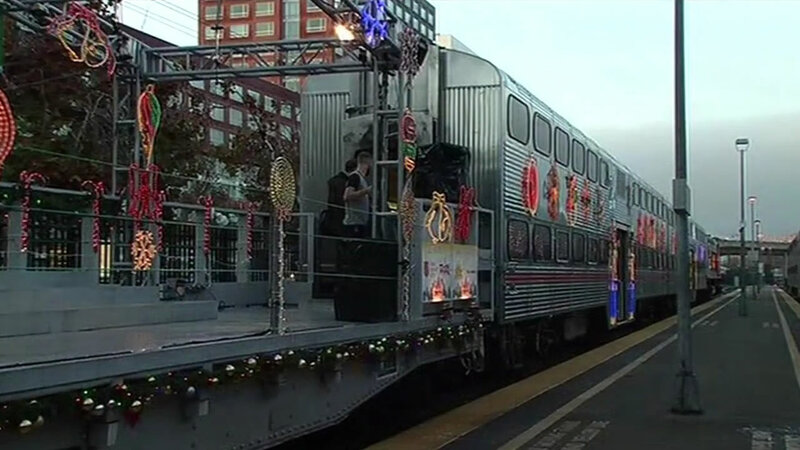 The Caltrain Holiday Train, the glittering show train decorated in thousands of lights, doesn't get moving until this weekend but ABC7 News got a little preview. This weekend, there will be carolers onboard, along with Santa and Mrs. Claus. Children will get to pose for photos. The event kicks off Saturday at 4 p.m. at the San Francisco Caltrain station.